Bertrange, Luxembourg, December 11, 2018 – Guardian Glass will delight visitors to it stand at BAU 2019 with a demonstration of the endless possibilities of glass – for today tomorrow and beyond – to a world in which glass will play an even greater role in our lives. 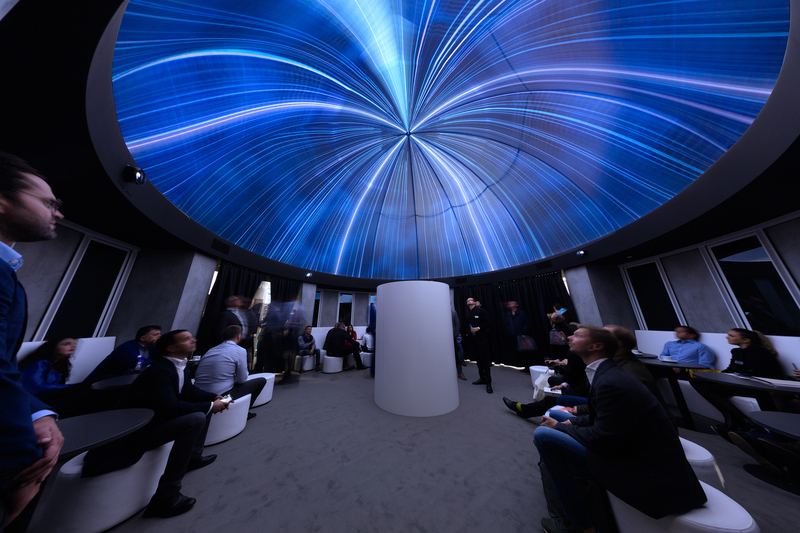 BAU, the world’s leading trade fair for architecture, materials and systems, opens its doors in Munich, Germany, 14-19 January 2019. The endless possibilities of glass are encapsulated in the design of the Guardian Glass stand (Hall C3, stand 308), where concentric rings reveal the current and future possibilities of glass. Architects and cladders can visualise what is possible with glass today and in the future, and how Guardian Glass can help realise their visions, as well as how future challenges that humans will face could be overcome. Starting from the outside of the stand, Guardian Glass products are presented as interactive displays, including Guardian Clarity™ anti-reflective glass and Guardian SunGuard® coated solar control glass for windows and building façades. These products push the boundaries of what is possible in structural glass, providing the optimum balance between how the glass performs and how it looks. Also on display is Guardian Dielectric Mirror, an advanced glass coating technology for dual-function mirror/TV applications, framed TVs, hidden commercial displays and other interior designs. 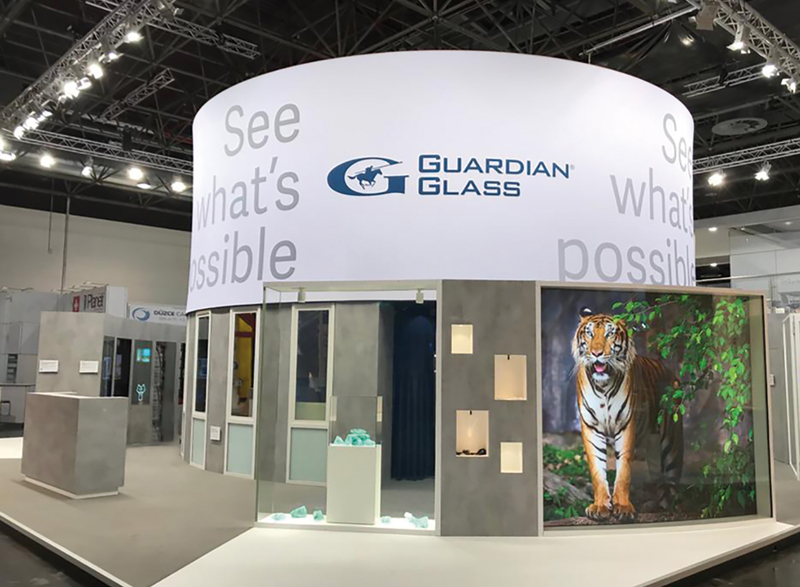 Venturing deeper into the stand, visitors can discover some of Guardian’s groundbreaking products of tomorrow, including its new dynamic shading solution which will set the scene to present Guardian Glass’ vision for the future of glass. Unlike any other shading product currently available, this patented solution is a reliable and cost-effective integrated shade for windows and doors, which will initially be available in a fully integrated ‘blackout’ version (expected in late 2019), followed by privacy and solar glare control versions. The shade, activated in seconds, allows users to control the glass by providing them with solar and glare control capabilities at the push of a button or via an app. 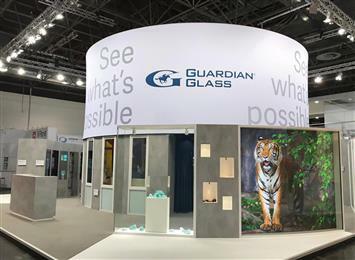 For more information on the Guardian Glass presence at BAU 2019 ahead of the show, or to arrange a meeting with a Guardian Glass expert during the event, please visit discover.guardian-possibilities.com/en/guardian-glass-bau-2019. Guardian Glass, a major business unit of Guardian Industries, is one of the world’s largest manufacturers of float, coated and fabricated glass products. At its 25 float plants around the globe, Guardian Glass produces high performance glass for use in exterior (both commercial and residential) and interior architectural applications, as well as transportation and technical products. Guardian glass can be found in homes, offices, cars and some of the world’s most iconic architectural landmarks. The Guardian Glass Science & Technology Center continuously works to create new glass products and solutions using the most advanced technology to help customers See what’s possible®. Visit guardianglass.com. Guardian Industries, a global company headquartered in Auburn Hills, Michigan, employs around 18,000 people and operates facilities throughout North America, Europe, South America, Africa, the Middle East and Asia. Guardian companies manufacture high-performance float, coated and fabricated glass products for architectural, residential, interior, transportation and technical glass applications, and high-quality chrome-plated and painted plastic components for the automotive and commercial truck industries. 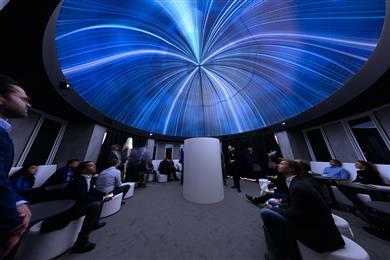 Guardian’s vision is to create value for its customers and society through constant innovation using fewer resources. Guardian is a wholly owned subsidiary of Koch Industries, Inc. Visit guardian.com. Guardian Glass to share its vision of the future at BAU 2019.